Spin it, twist it, shake it! Can you spot the prehistoric creatures in this Find It Dinosaur game? How many of the hidden treasures can you find in this tube of delights? 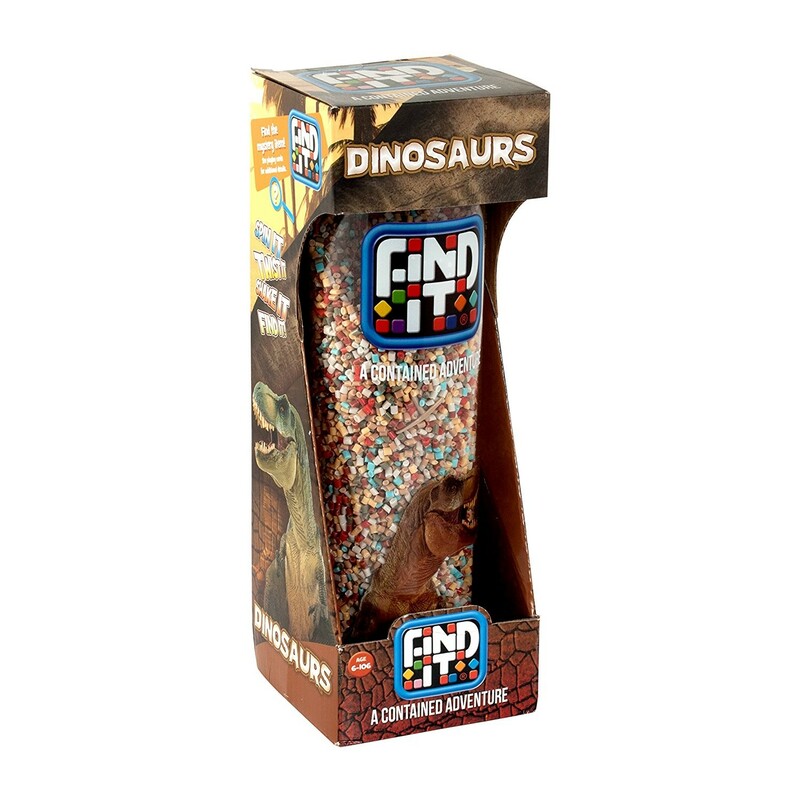 40 hidden items including a Triceratops, a fossil, a tooth and a T-Rex Comes with 27 double sided playing cards to provide even more game play options A quick, fun, challenge-based game for one or more players, ages 6-106!